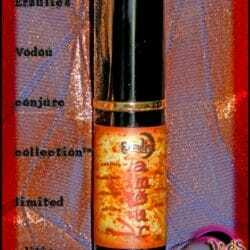 to capture the essence of the Divine Vodou Goddesses. 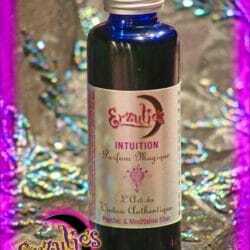 Perfume Oils, Spiritual Perfume Oils & Gemstone Perfume Oils ~ Divine Water Spirit Perfume Oils! The beloved Voodoo goddess of the sea, Mambo LaSiren! 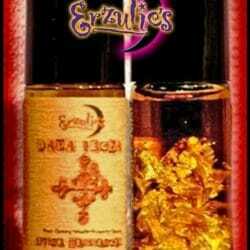 For peace, healing, calming and cleansing energy, this precious perfume anointing oil is the very essence of LaSiren. Mambo LaSiren is the very powerful water spirit known to bring peace, healing, calming, cooling and cleansing to those seeking her assistance. As the water version of Erzulie-Freda, she too is very beautiful and known for bestowing blessings, wealth and success to those she favors. Apply these exquisite perfume oils to draw peace, healing, calming, balance, rejuvenation and comfort into your life and save the gemstones for your sacred space when finished. These precious, highly concentrated, pure essential perfume oils are fresh, floral, yet elegant & hand-blended with 100% pure essential oils of Wild Harvest Organic Blue Chamomile, Bois du Rose, Neroli, Blue Lotus, Vanilla & Sandalwood Oils, then bottled with Precious Mother of Pearl or Aquamarine gemstones to enhance her healing vibration. 15ml Colored Roll On Bottles.